The 11 million households in England, Scotland and Wales on default tariffs should be better off after the cap is introduced. Consumers in Northern Ireland have a separate energy regulator and already have a price cap. More than half of all households in Britain are on default tariffs - normally a standard variable deal - because they have never switched or have not done so recently. Even those that have switched in the past are often automatically put on more expensive default deals when they come to end of fixed-term contract deals. A typical dual fuel customer who buys their gas and electricity from the same supplier and is on a standard variable tariff is set to save about £75 on average. That's assuming you keep to average usage - leave the heating on all day and you'll still see your bills get more expensive. 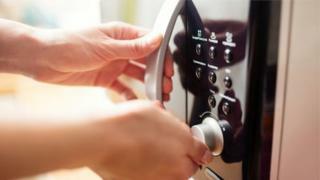 Someone on the most expensive tariff could save more than £120, Ofgem has calculated. But the saving depends on which supplier you are with and whether you pay by direct debit or not. A British Gas customer, for instance, would save about £69, according to Ofgem figures. But someone with Scottish Power, which currently has the most expensive default tariff, would save about £121. Are you a typical customer? According to Ofgem's definition a typical customer uses 3,100 kWH of electricity and 12,000 kWH of gas in a year. Does it mean I don't have to switch anymore? Far from it. Stephen Murray, energy expert at MoneySuperMarket, warned consumers not to be complacent about saving money on energy. "You might think Christmas has come early with the savings mooted in today's announcement of the price cap level, but you'd be missing the bigger picture," he said. "There are more than 100 tariffs available right now which are cheaper than the proposed level of the price cap at £1,136. That means switching today could save you £250 or more, and there's no need to wait for a price cap that would actually save you on average £75." Martin Lewis, founder of MoneySavingExpert, added: "The savings [from the energy cap] are still pitiful compared to the amount people would get if they switched and went to the market's cheapest providers - yet there is a real concern the imposition of a cap will give people a false sense of security that doing nothing is fine." Why is Ofgem introducing a price cap? 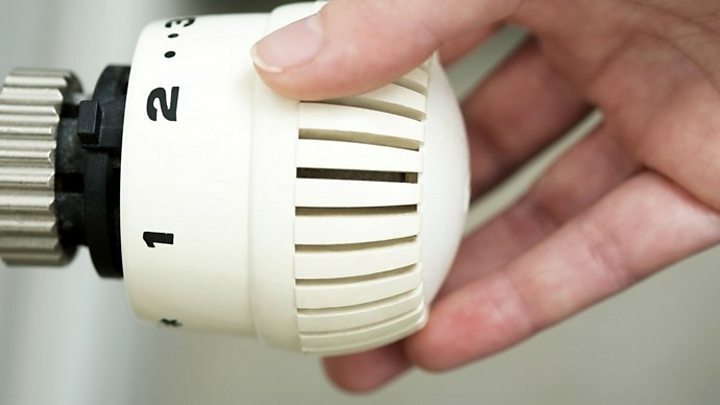 The regulator was given powers by the government in July to introduce the cap, in the latest attempt to help consumers struggling with the increasing costs of heating and lighting their homes. The Domestic Gas and Electricity (Tariff Cap) Act became law on 19 July and gave Ofgem a duty and the powers to put the price cap in place. The law was needed to stop loyal customers "being exploited", according to the Business Secretary Greg Clark. Ofgem chief executive Dermot Nolan said: "Once the price cap is in place, all households in Great Britain covered by the cap will be protected from being overcharged for their energy." Peter Earl, head of energy at Compare the Market, warned that energy companies could raise the prices of their best value tariffs in order to offset the impact of the price cap. "We are concerned that engaged energy shoppers will suffer, paying an inertia tax to subsidise households stuck on standard variable tariffs. This may be the great unintended consequence of the price cap," he said. MoneySavingExpert's Mr Lewis said: "Already in the run up to the price cap we've seen prices concertina - diminishing choice and savings for those who do switch. Two years ago four of the big six firms offered fixed tariffs less than 10% more expensive than the market's cheapest. Now even the best from the big six is nearly 20% more." How have energy companies reacted? Energy UK is the industry body which represent gas and electricity firms. Its chief executive Lawrence Slade warned that the cap "will pose a significant challenge" for the more than 70 suppliers operating in the domestic energy market. However, he added: "Energy efficiency is the most effective way to help customers save money on their energy bills for the long term."